Steve McQueen is three for three. With each passing film he tightens up his craft and continues to deliver pitch perfect adult drama. The guy is in a class all his own, creating beautiful yet difficult films that discuss the human condition in a universal manner without ever feeling preachy or manipulative. The last time we saw him he was taking Michael Fassbender down a deep rabbit hole of addiction, it also was my third favorite film of 2011. McQueen now takes on the story of a free man kidnapped and thrown into slavery, the result is harrowing and powerful all while seen through the lens of Sean Bobbit, who somehow gives us gorgeous images as we travel through Solomon's worst nightmare. Let's start with the acting. Chiwetel is guaranteed a nomination. His portrayal is heartbreaking, but man he imbues Solomon with so much heart and perseverance that we are left staring in awe as he walks through his living hell. Chiwetel let's hope seep through ever so slightly and never completely loses his self respect. The scenes where he stands up for himself are inspirational and frightening as we see Solomon struggle to maintain his humanity. This being a McQueen film of course Fassbender had to make an appearance. Bringing his signature intensity, Fassender does intense like no one else. 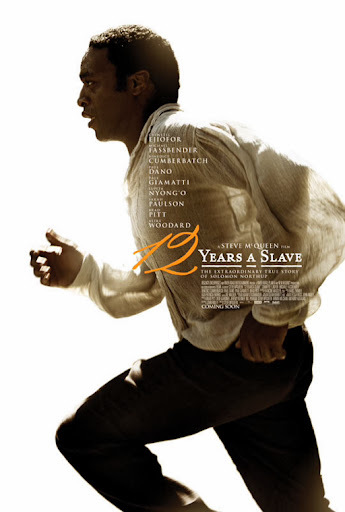 As a brutal slave owner battling his own insanity, he brings so many layers to a role that could've easily been a stereotype wrapped in a cliche. Make no mistake this is Chiwetel's film, but Fassbender proves once again that he is one of the best actors of our generation. McQueen crafts films that incite discussion and debate, yet he never sensationalizes anything. His films are slightly detached without feeling distant. He brings you into these environments like a fly on the wall, be it prison, NYC, or the South. He shows us the beauty an savagery present in life. We travel through the south and see the opulence present in these plantations. 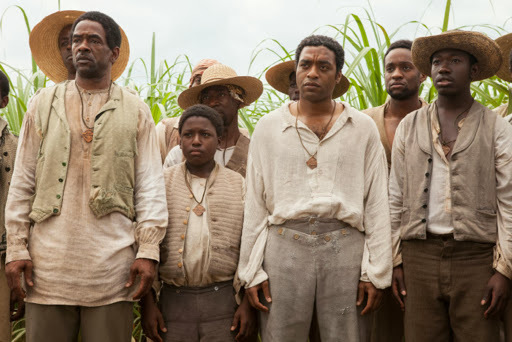 With some amazing costume design the dichotomy between slave and master is ever present. One of the ladies kidnapped with Solomon is named Eliza, and when we meet her she is in a gorgeous dress just as nice as any of the other ladies in the film. But as the reality of the situation becomes all too apparent we see her dress turn to rags only to be replaced by the typical dressing worn by house slaves. His camera is never invasive. Everything is meticulously planned out and he is no stranger to the long take. He creates wonderful tableaux as characters move in and out of the scene. One amazing scene has Solomon a bit worse for wear hanging from a tree and we see close to a full day pass as people just walk around him as he struggles to keep his feet on the floor. The camera never strays showing us Solomon in the forefront struggling to survive as life moves on behind him. A beautiful metaphor for his entire journey. I want to talk quickly about the ending so ...sorry. What could easily be an extremely manipulative scene of reunion is instead a melancholy display of restraint. The emotion is so real and so raw, like most of McQueens work. Chiwetel nails the beats necessary as we see him incredibly happy yet somehow uncomfortable in his old clothes. His first words are heartbreaking, but the scene is allowed to breathe and by the end each tear is earned and we are left with another masterpiece by McQueen. One last thought - sup Brad Pitt...write that part for yourself?